Question: Does anyone know what the little pink flowers are in the foreground? They remind me of poppies, but I thought they were red. 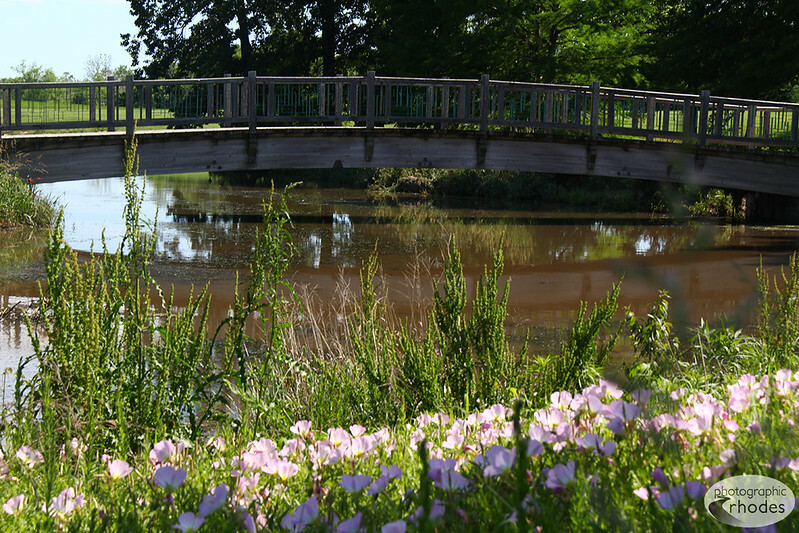 A wooden bridge stretches across a peaceful pond at Powell Gardens near Kansas City. I think this is a lovely shot. Monet may have enjoyed it! I love his large painting in the Cleveland Art Museum of the lily pads.